REALLY want! Looks like a ground effect flier. Extremely cool! 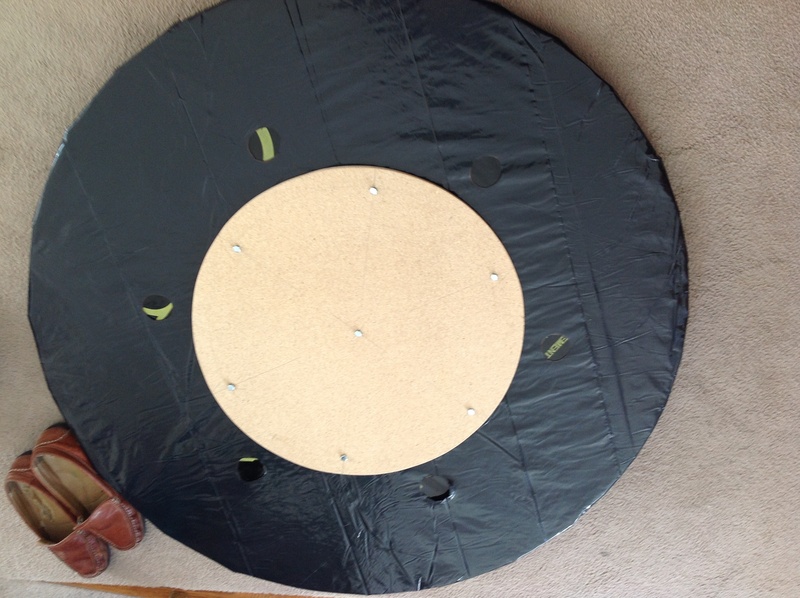 I've been tossing about the idea of building an RC hovercraft. Should be very easy to do. I have built two life size leaf blower powered hovercraft, and have been wondering about building an rc one, I just needed some inspiration. Thanks for the link! Foam Addict - can you point me towards the plans you used? I've been wanting to build one for school. They aren't mine, but here are some pics! 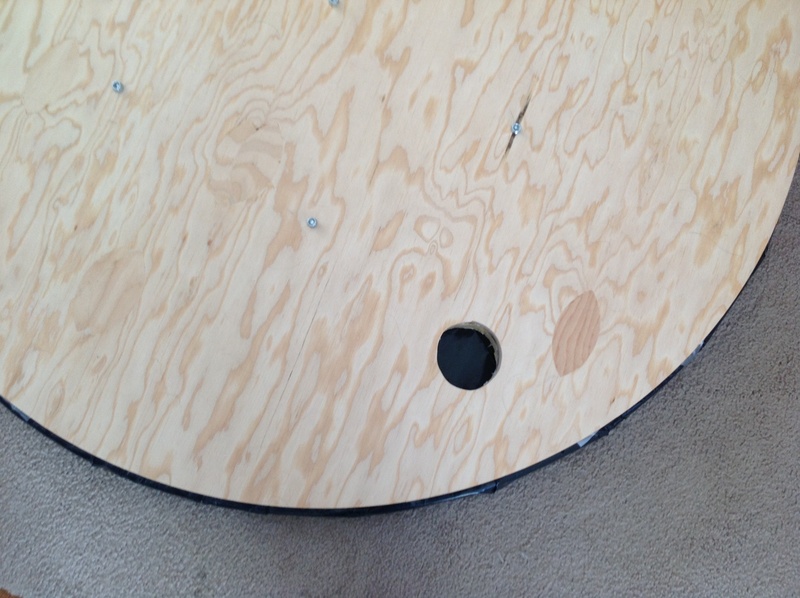 The big hole in the ply is for a leaf blower or shop vac. 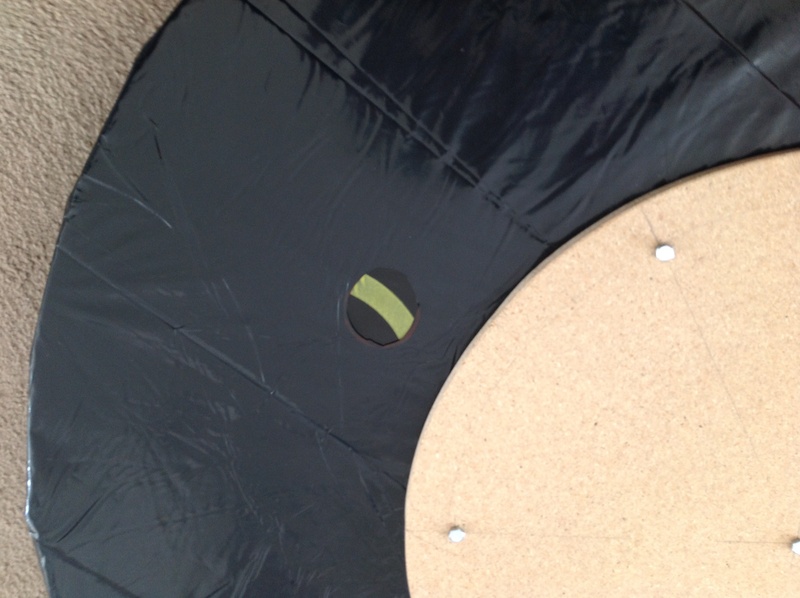 It consists of a 46" ply circle, then a 48" xps foam circle, covered in plastic sheeting. The hole on top runs all the way through the foam, but not through the plastic. The plastic has 5 holes in it for the air to escape, approximately 8" from the edge. 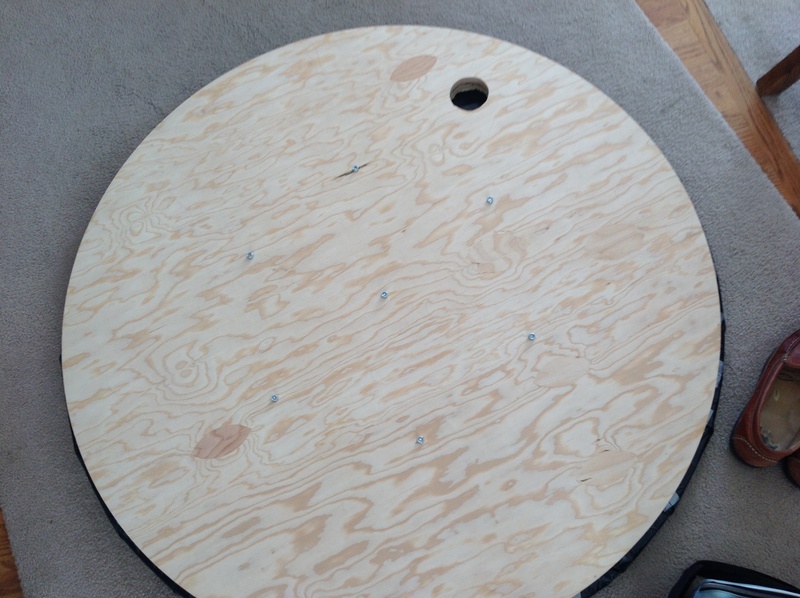 Lastly, there is a 24" ply circle in the center on the bottom to help form the skirt, secured by 7 bolts. One centered, the rest 60 degrees apart, 2" from the edge. I hope that helps. It has been flown with a 300 lbs person on it, or two high school kids. Just ask if you need any more info! Very cool. I wonder why the inlet hole is not centered on the disk. Because, then it is unbalanced when someone sits on it, and the skirt collapses. I'm seriously thinking hovercraft build, now. I have a CF-2812 motor and a PowerUp 400 sport motor available for this little project. I also have a couple of spare 20 amp escs. Power systems - check! Now, I could go with a single motor for thrust and float or a dedicated motor for each function. The CF-2812 would be a zippy little motor for thrust. The 400, more power, less zip. My worry is that, unless I build a fairly heavy hovercraft, the 400 will be overkill for a lift motor. I think either motor would be plenty to serve the dual purpose role. Now, what material for the skirt? I like the idea of using a durable, stretchable fabric. The material that Under Armor is made of should fit the bill. As luck would have it, my wife and I have a good friend who is a designer for UA, so I am pretty sure I could get some of that for free! (I have hundreds, perhaps thousands of dollars worth of Puma and UA prototypes and pre-production designs from this guy!) Heck, hate to do it, but I could cut of one of the many articles of clothing I do have. Also, I think a light gage neoprene would work well. This would only need a single servo, but I'm thinking of putting an actuated spoiler on the front to give the nose down-force so it can really turn. Heck, these things are so simple, why don't we all build a single or double person model? They are the ultimate, multi-surface vehicle. Disclaimer: While capable of operating on nearly any surface, that surface must be flat.